Need an extra hand with your event? Let our experienced staff of event planners, wedding planners, and day-of coordinators help you out. 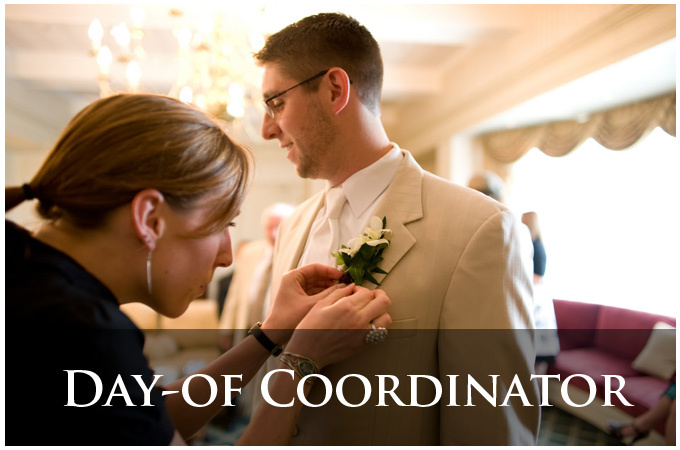 A “Day-of” coordinator is for any event or brides and grooms who want to do most of the planning themselves, but when their day arrives they need a professional to execute all of their hard work. Confirm final details with vendors prior to wedding day. Make sure that all vendors have The Wedding Sitter’s contact information. Send vendors a copy of the final timeline and make sure they have directions to the ceremony and reception locations. Make sure the bathrooms are ready and presentable for guests.